At Directfit Interiors we are a family run business who pride ourselves on delivering exceptional kitchens & bathrooms no matter how big or small the budget is. With over 10 years' experience in the industry here at Directfit Interiors we have developed an excellent structure to ensure quality control and project management. The kitchen is often the most important room in the house, so as well as stunning looks, you also need it to be practical. We can supply and install a wide range of quality British & German made kitchens that work for you. When it comes to choosing your perfect bathroom we can offer a wide range of modern, contemporary and traditional designs from most of the industries manufacturers. By having our own in house installation team we can offer a reliable and managed service to all our customers taking out the third party installers commonly found with other suppliers. We offer kitchens and bathrooms to fit all budgets from small to large. allowing everyone to enjoy the Directfit experience. All our kitchens & bathrooms are supplied and fitted with our 2 year workmanship guarantee. Please contact us to arrange a free no obligation site visit where we will come out and go through all your requirements, create a bespoke design and supply a competitive quote. 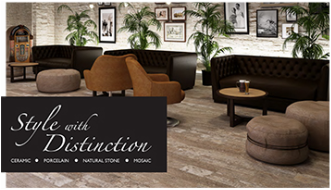 Introducing our own range of tiles with the latest Style with Distinction brochure. With a wide range to choose from we are confident we can find the style for you to fit your kitchen or bathroom design. From ceramic to porcelain and Victorian to wood effect we have it all. Download the latest brochure or request a copy.